If you are looking to lose weight and keep it off here are 4 great recipes to help you. The recipes are some of my favorites. They are Thai Coconut Bliss, Roma Salad, Italian Salad and Caprese Island Salad. Take a small bowl to mix basil, mushrooms, sea salt, and ¼ cup lime juice. Once thoroughly mixed, put to the side. Using a blender, add in dates, soy sauce, coconut meat, rest of lime juice, olive oil, ginger, and coconut water. Blend until smooth. Add mixture into seperate bowls and top it off with mushroom mixture. Enjoy! This recipe makes 3-4 servings. Combine all of the vegetables into a very large bowl and then just dress the salad with the pepper, salt, garlic and olive oil. and of course the basil as well. Mix all of the vegetables in a large bowl then add the dressing ingredients and serve. This is a really great recipe start by layering a slice of cheese followed by, slice of tomato and basil leaf. drizzle over top your olive oil, balsamic vinegar and then add a pinch of the salt, garlic, pepper and then enjoy. You can even mix all of the dressing ingredients together and then just use a spoon and pour it over top of the individual portions. So there you have it, 4 of my favorite recipes that have helped me lose weight and keep it off. If you would like more information on our weight loss program I invite you to call us and schedule your free weight loss consultation. Call us now 215-821-7336 and schedule your consultation now. 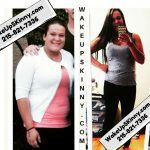 This entry was posted in Diet Doctors in Philadelphia, Medical Weight Loss, Medical Weight Loss in Philadelphia PA, Medical Weight Loss Philadelphia, Weight Loss, weight loss philadelphia and tagged medical weight loss in philadlephia, pa, weight loss in philadelphia on August 9, 2017 by Dr. Michael Kenny.